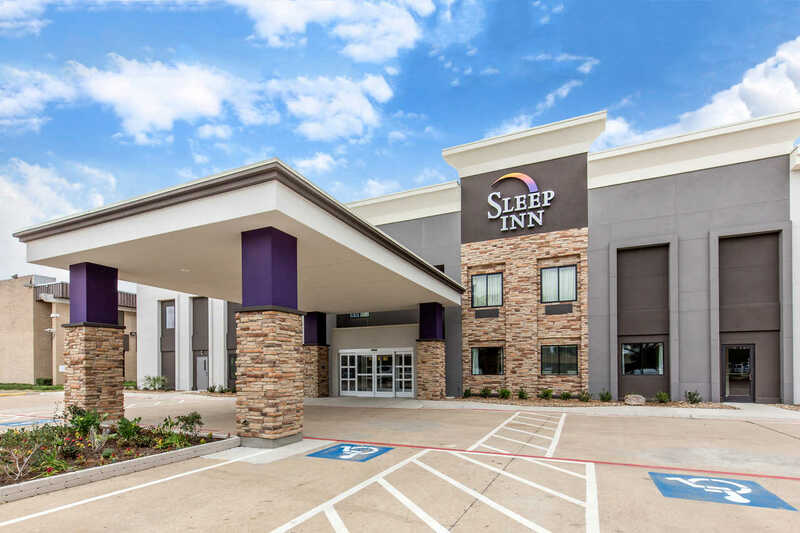 Dallas, TX (July 24, 2017, Updated August 28) – The new Sleep Inn Dallas Love Field – Medical District Hotel in Dallas, Texas is now open to guests. The hotel is owned and operated by Dallas Empire Central, LLC and located near the Dallas Love Field airport and medical district at 1165 Empire Central Place, Dallas, Texas 75247. The Dallas Sleep Inn features the brand’s Designed to Dream next generation look and feel throughout the property. The aesthetic includes a contemporary, warm lobby with unique lighting features, natural finishes and graphic accent walls. Thoughtful design takes relaxation into careful consideration. Guestrooms will incorporate flat-screen TVs, sleek furniture, inviting bedding and serene collages of black and white photography invite guests to comfortably unwind. Playful “Dream Tips” displayed throughout the hotel offer guests quirky ideas to help “dream better” when they turn out the lights. The hotel also features a complimentary morning medley breakfast buffet, shuttle service to Dallas Love Field airport, free high-speed Internet and free newspapers, as well as a fitness center, guest laundry, and business center. This hotel will participate in Choice Privileges, the rewards program offered by Choice Hotels International, Inc. Membership is free and offers points good toward free nights, airline miles, gift certificates and more while staying at more than 6,300 Comfort Inn, Comfort Suites, Quality, Sleep Inn, Clarion, Cambria hotels & suites, MainStay Suites, Suburban Extended Stay Hotel, Econo Lodge and Rodeway Inn brand hotels as well as the Ascend Hotel Collection member hotels. The Sleep Inn brand is franchised by Choice Hotels International, Inc., one of the world’s leading lodging franchisors. For more information, visit https://www.choicehotels.com/texas/dallas/sleep-inn-hotels/txh02. CanTex Capital is a diversified commercial real estate investment and development company with over 20 years of experience in development, acquisitions, and management. Every Sleep Inn hotel is a simply stylish sanctuary that’s designed for a happy night’s sleep. Just as restful as home—but better! The warm, modern design elements in your guest room will help you rest and unwind, our signature shower invigorates and refreshes, and with all of the options on our Morning Medley hot breakfast buffet, you might even decide to treat yourself to seconds. The Sleep brand’s entire Designed to Dream® experience comes together in an environment that’s uplifting by design—to put a smile on your face and a spring in your step. Choice Hotels International, Inc. is one of the world’s leading hotel companies. The company’s 10 brands Comfort Inn, Comfort Suites, Quality, Sleep Inn, Clarion, Cambria hotels & suites, MainStay Suites, Suburban Extended Stay Hotel, Econo Lodge and Rodeway Inn brands, and the Ascend Hotel Collection membership program, serve guests worldwide. Choice Hotels International offers the Choice Privileges loyalty rewards program with more than 22 million members worldwide. Additional information may be found at www.ChoiceHotels.com. The grand opening for the Sleep in will be held on August 30. Click Here for the details and information related to the opening. Choice Hotels, Choice Hotels International, Choice Privileges, Comfort Inn, Comfort Suites, Quality, Sleep Inn, Clarion, Cambria hotels & suites, MainStay Suites, Suburban Extended Stay Hotel, Econo Lodge, Rodeway Inn, and the Ascend Hotel Collectionare proprietary trademarks and service marks of Choice Hotels International, Inc.
©2015 Choice Hotels International, Inc. All rights reserved.